Wonderful old photograph of an elderly man in a carriage with two fine looking horses in the harness. 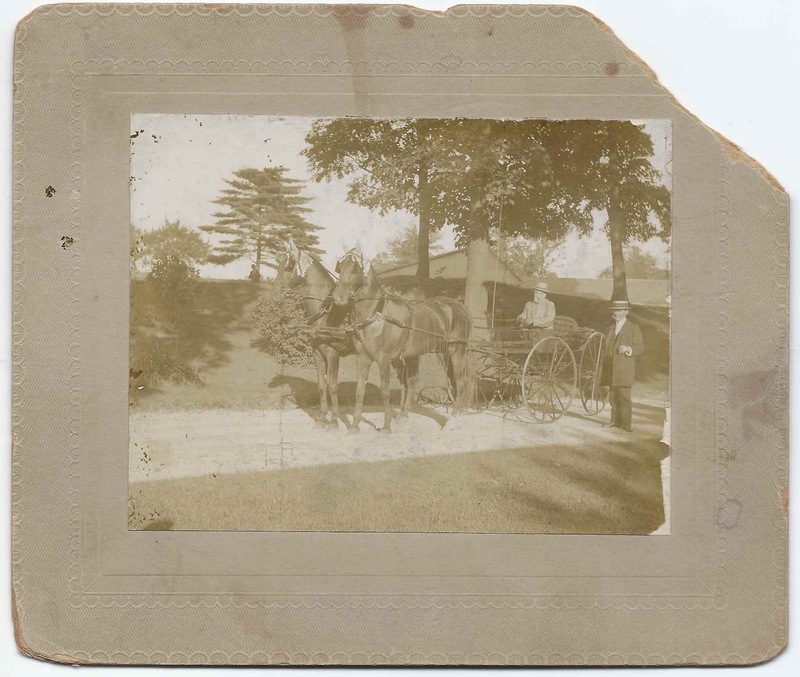 The driver and horses are identified on the reverse as George Abeel, Black Bird and Topsy and contains this text: "My Grandpa Exercising." I found online references for a George Abeel who was a member of the Suburban Riding and Driving Club at the Inwood section of northern Manhattan. He was born 16 October 1839 at 90 Prince Street, New York City, the son of John Howard Abeel and Catherine Emeline (Strobel) Abeel. He entered the family iron and hardware mercantile business and eventually becames its head. In 1861, he married Julia E. Guenther, daughter of Rev. Francis Guenther. They had three sons, George, Francis and Henry. 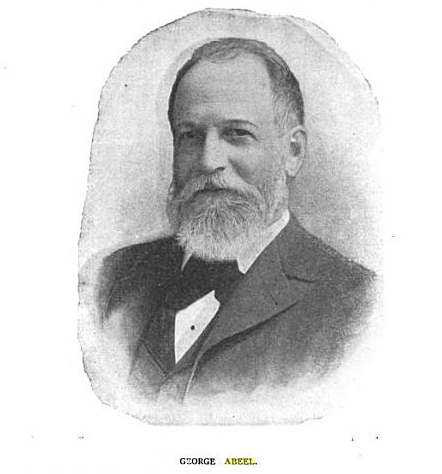 The book The Abeel and Allied Families, published in 1899 contains a head study of a younger George Abeel who bears a resemblance to the man in the photograph above. If this is the George Abeel in the carriage, the photograph was probably taken between 1910 and 27 February 1918, when George died. 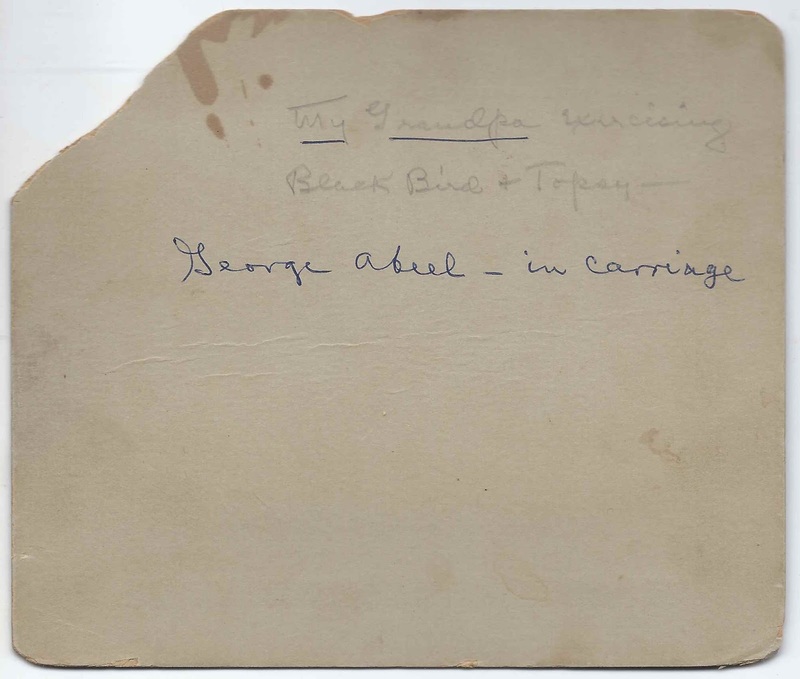 If you have corrections to the information above, or if you feel that the man in the carriage is a different George Abeel, please leave a comment or contact me directly. Thanks!